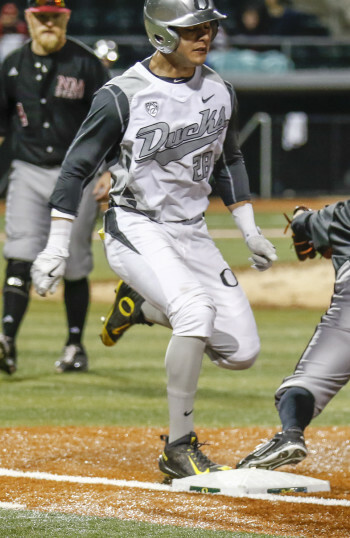 Ducks donned all-gray uniforms against New Mexico. These uniform comments bring me back to the age of eight or nine when my family would often attend Portland Beavers Pacific Coast League baseball games. The Pacific Coast League (“PCL”) was a superior class AAA minor baseball league. It was considered by many to be above AAA level, and was often referred to as an open classification league. The Hollywood Stars’ controversial uniform. The league was the epitome of professional baseball on the west coast. The Brooklyn Dodgers, the first major league team to come west, had not yet made its move to Los Angeles. Thus, the larger cities on the left coast had a PCL team: Seattle, Portland, San Francisco, Oakland, Sacramento, San Diego and Los Angeles all had teams in the league. Actually, the Los Angeles area had two teams – the Angels and the Hollywood Stars. The Stars primary owner was an advertising executive, and many well-known movie and entertainment personalities of the day were stockholders. They were progressive in team promotion, and broke many of the hallowed standards of the relatively staid baseball community. One area of promotion for the Stars was their uniforms; hence, the connection to our Ducks. In the 1950s, ownership introduced a uniform consisting of shorts and T-shirts, with a non-stirrup sock that came to the knees and folded over. 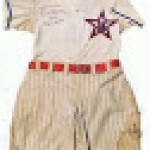 Close up of the Stars’ shorts and T-shirt uniform. The resulting uproar among the Stars players, opposing players, and the media was loudly negative. 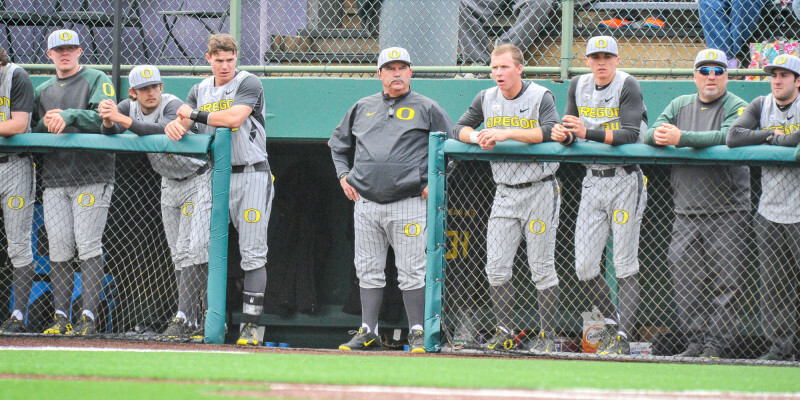 In contrast, negative comments regarding the modern-day Duck uniforms are more subtle. Why did I, as a child, remember this uproar? I attended a Beavers ballgame against the Stars in which the late Red Munger, a pitching star in the major leagues for 10 years who was finishing his career in the PCL, was scheduled to pitch. The local sports page that morning focused not on Munger’s 22-game win pace for the season, but on the fact that Munger had refused to wear the shorts and T-shirts uniform for the game. 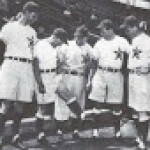 The rest of the team had on the new uniform, but Red Munger wore the traditional baseball uniform. Talk about a loud statement! Unlike Mr. Munger, let’s hope all of our Ducks wear those great uniforms with pride, find their A-game and turn this conference season around! Until we see you at the ballpark, take two and hit deep to right.